These 2 Ingredient Bagels are simply made with self rising flour and non-fat Greek yogurt! Traditional homemade bagels, while easy to make, are a bit time consuming. The yeasted dough requires plenty of resting time (usually overnight). It is then poached in boiling water before being baked in the oven. 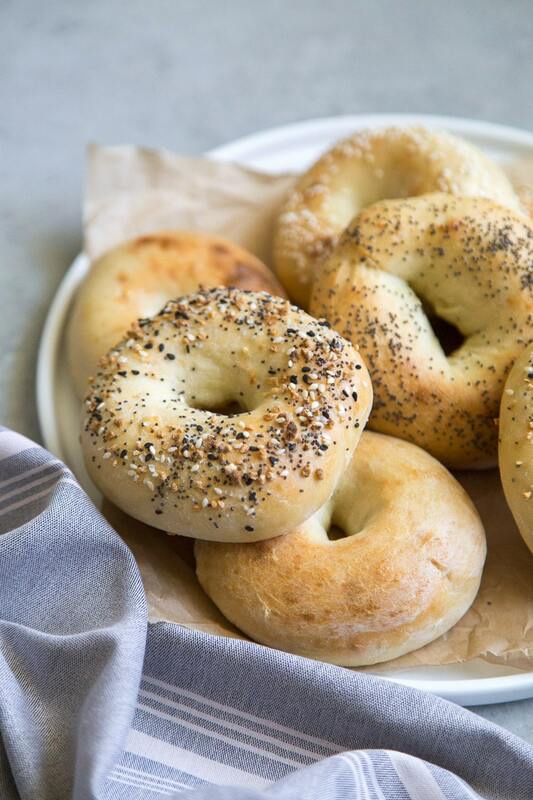 The recipe for these 2 ingredient bagels skips the yeast and the poaching liquid. The bagel dough is simply made from two ingredients, shaped into rolls, topped with egg wash and any desired seasonings, and then baked. In less than 45 minutes, you can have hot fresh bagels ready for cream cheese, lox, nut butter, or whatever fillings your heart desires! 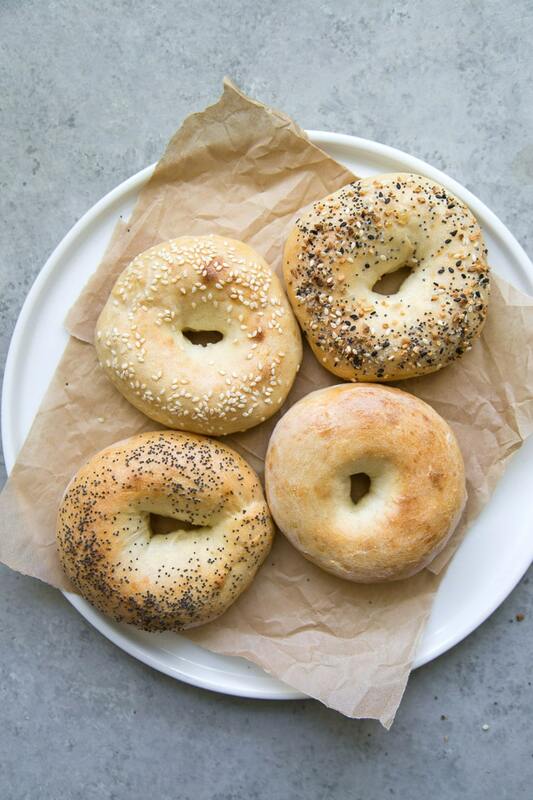 How do these 2 ingredient bagels compare to traditional bagels? 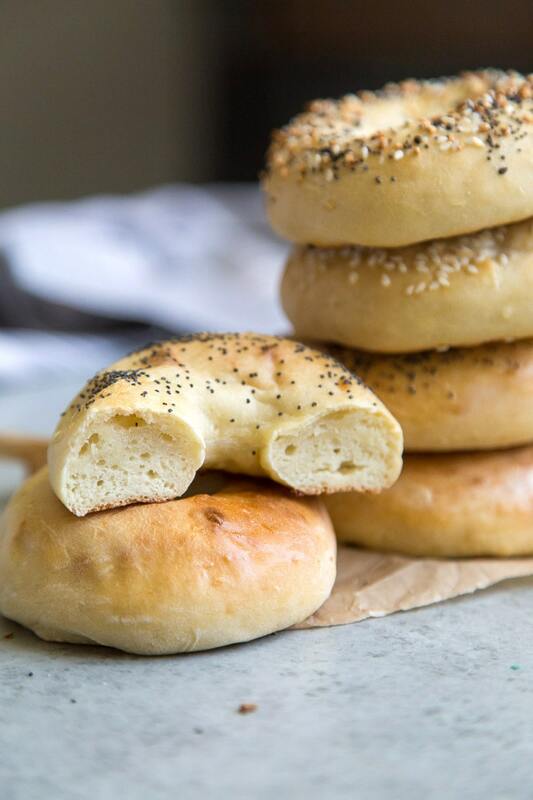 Of course these 2 ingredient bagels cannot truly mimic the iconic chew and bite of a traditional poached and baked bagel. However, they come pretty darn close! 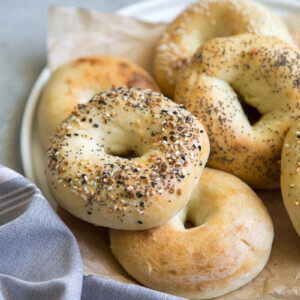 If you want a bagel with more “chew” make your own self-rising flour using bread flour instead of all-purpose flour. 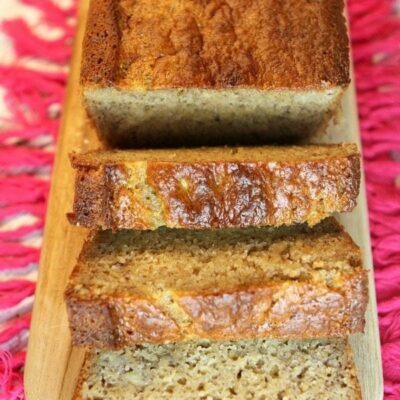 The additional protein in bread flour will help get that desired texture. See *Recipe Notes in the recipe below for details. 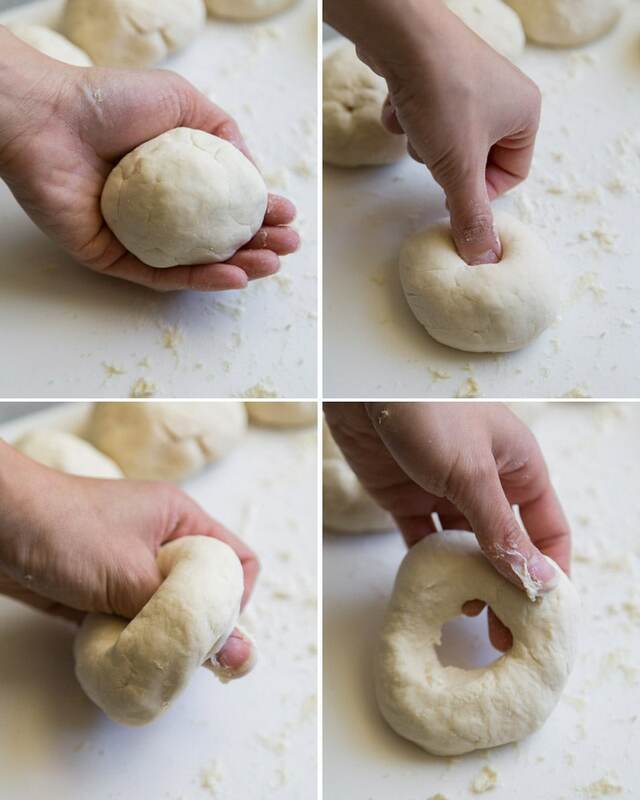 What’s the easiest way to shape bagels? Most recipes will tell you to roll the bagel dough into a rope and then pinch the edges together. I prefer a different method. Shape each portion of dough into a ball. Use your thumbs to make a hole in the center of each ball. Gently pull and stretch until the dough is a uniform sized ring. Before baking, the bagel dough is brushed with egg wash. The egg wash allows any desired toppings to stick to the dough. More importantly, the egg wash helps to give the baked bagels their brown coloring. There are countless variation on bagel toppings. Use the ever popular “everything bagel seasoning mix” of poppy seeds, sesame seeds, garlic powder, onion flakes, and sea salt. I’ve seen this “mix” sold at Trader Joe’s. Or stick to a plain egg-washed version! These 2 ingredient bagels make for great breakfast sandwiches! 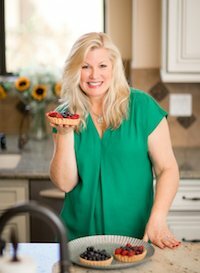 2 ingredient bagels are also known as “Weight Watchers Bagels.” Regular bagels are far too caloric to enjoy when you’re following the Weight Watchers program, but since Greek yogurt is “free” on the Freestyle program, these bagels are a great breakfast option. Each bagel is counted as 3 Weight Watchers Freestyle SmartPoints. This magical 2-ingredient dough recipe can be used to make several other baked goods. Using a different ratio of flour to yogurt, you can make pizza dough or pretzel bites! If you are interested in more easy no-yeast bread recipes, you might like this Irish Soda Bread or Flaky Buttermilk Biscuits. These Black Pepper Gougeres or these Garlic Herb and Cheese Bread Sticks are also great options! 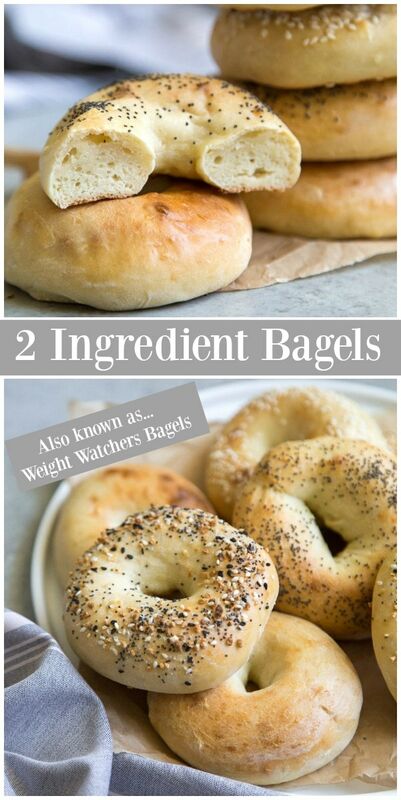 These 2 ingredient bagels are simply made with self rising flour and non-fat Greek yogurt! Finish them with your choice of toppings. Preheat the oven to 375 degrees F. Place parchment paper on a baking sheet. Lightly coat with cooking spray to prevent the bagels from sticking. In a large bowl, use a sturdy spatula to combine the self-rising flour and yogurt until the mixture clumps to a shaggy dough. Dump the mixture onto a lightly floured work surface. Knead the dough together by hand for about 5 minutes, until the dough is smooth and elastic. Dust with additional flour as needed if the dough is too sticky (see Recipe Notes below for tips). Divide the dough into 8 equal parts. Shape each portion of dough into a ball. Use your thumbs to make a hole in the center of each ball. Gently pull and stretch until the dough is a uniform sized ring. Repeat with remaining rounds. Flour your hands as needed. 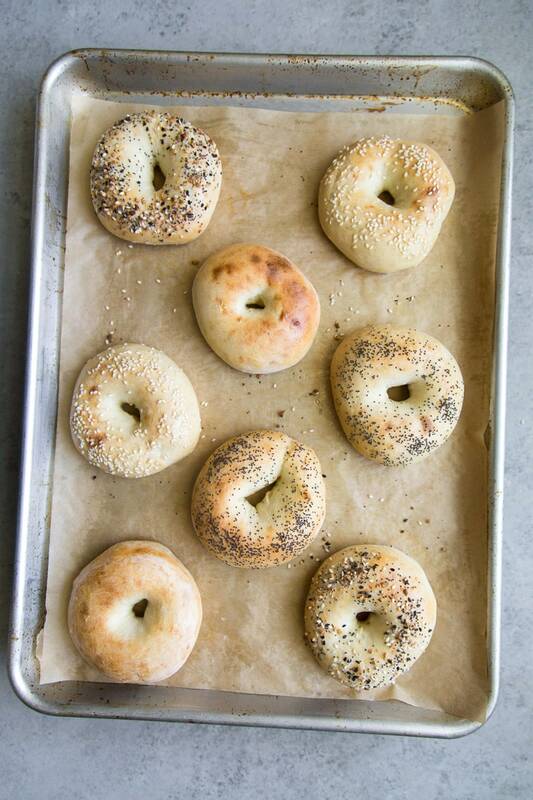 Arrange the shaped bagels on the prepared baking sheet. Mix together the egg wash by whisking the egg, salt, and water in a small bowl until smooth. Brush the egg wash mixture over the bagels. Sprinkle desired toppings over bagels. Bake for 20 to 22 minutes, rotating the baking sheet midway through baking. Remove from the oven. 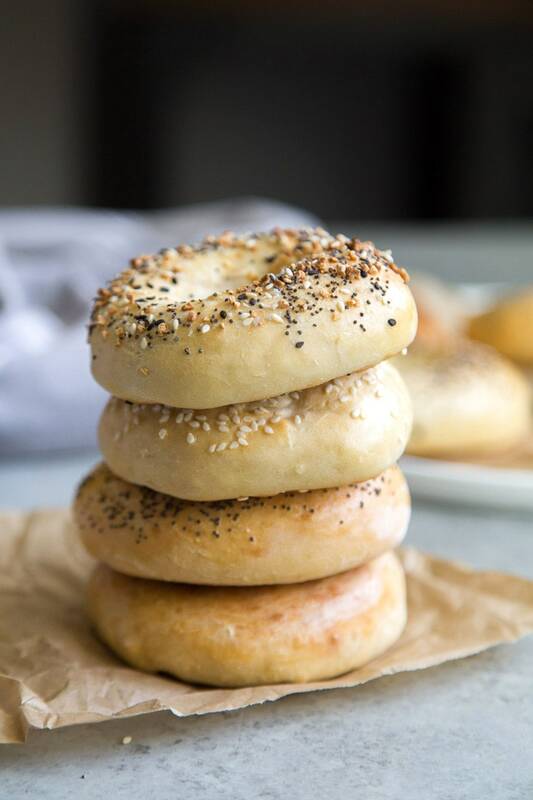 Increase oven temperature to 450 degrees F. Return the baking sheet to the oven and bake for another 3 to 4 minutes until the tops of the bagels have browned. To make homemade self-rising flour: combine 2 cups all-purpose flour, 1 tablespoon baking powder, and 1/2 teaspoon fine sea salt. To make a bagel with more "chew," substitute bread flour for AP flour in homemade self-rising flour recipe listed above. Use strained thick Greek yogurt. Stay away from those that are labeled "Greek style" yogurt as they tend to have more moisture. Suggested brands include: Fage Total 0% Greek Yogurt and Stonyfield Greek Yogurt. The dough can also be mixed together in a stand mixer using a dough hook attachment. Add the ingredients to a mixing bowl and mix on low speed until a shaggy dough forms. Increase to medium speed and knead until the dough no longer sticks to the sides of the bowl. When rotating the baking sheet, check if the bottoms of the bagels are browning too fast. If so, simply place another baking sheet under the current baking sheet and continue baking. These are so delicious and satisfy my bagel cravings! 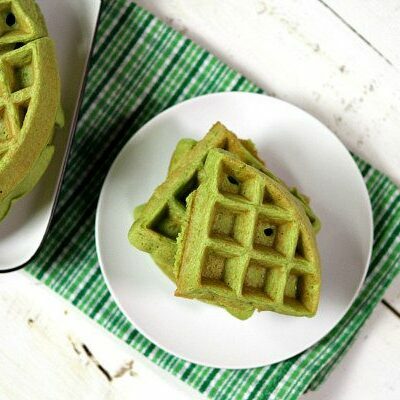 I can’t get over how easy they are to make and with only two ingredients! Thanks for sharing the recipe! Soooo good! Satisfying my bagel craving. I made these last night, sooo good! I will add a little more salt next time, but these were impressively delicious! Love these!! I have made them 3 times! 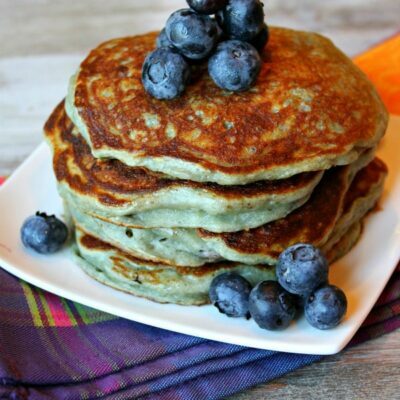 So easy and very yummy! Thank you!! 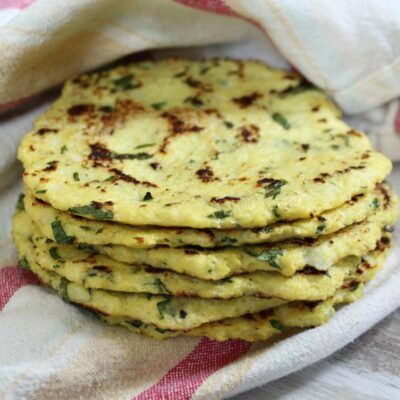 How can I make this with wholemeal? I’m not familiar with wholemeal, sorry! I loved it! 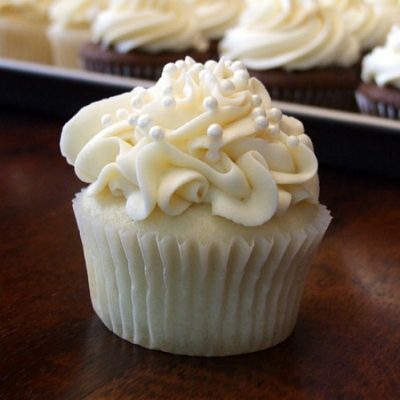 So good and very easy to make! 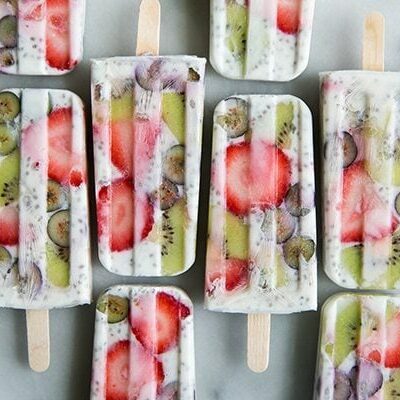 I don’t think so- these are just made with the Greek yogurt! I’m super impressed by these bagels! I can’t believe they’re only two ingredients! I adore bagels, but it takes forever to make them from scratch! 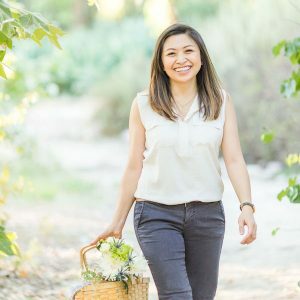 Your recipe is so darn easy–they were terrific for a quick fix!